Calcium is an essential mineral for maintaining healthy bones – a factor in the development in numerous diseases such as osteoporosis, rheumatoid arthritis and others. And while you may think that you take in enough calcium throughout the day, or that you need to consume meat or dairy to take in enough calcium, this couldn’t be further from the truth. 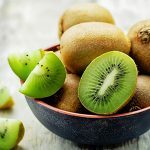 Like vitamin B12, which is found in meat, calcium is another substance that is thought to be very difficult to find when only focusing on vegan food sources. 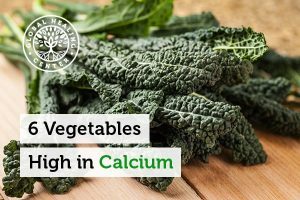 But the good news for everyone – vegans, vegetarians, and meat eaters alike - is that there are numerous vegetables out there that contain notable amounts of calcium. What’s more, these vegetables provide a wealth of other health benefits while providing this essential mineral. 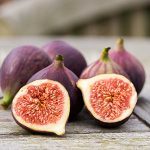 While the above foods may be enough for any vegan, vegetarian, or even meat eater to take in enough daily calcium, this is hardly an exhaustive list. 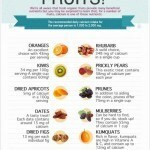 There are many other vegetables and even fruits that are a great source of calcium. Supplementation is also a viable option, at least if you use the right type of supplement. Don’t bother with those chalky calcium supplements you can find at the gas station checkout. 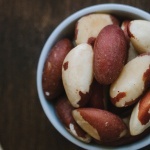 Because magnesium is essential for calcium absorption, always look for a calcium supplement with magnesium. I recommend IntraCal™. IntraCal puts calcium orotate and magnesium orotate together in an easily swallowed Kosher certified vegetarian capsule to make the most bioavailable calcium supplement on the market. Do you have a favorite way to prepare one of these entries... or have a suggestion that's not on the list? Leave a comment and let us know! Heaney RP, Weaver CM. Calcium absorption from kale. Am J Clin Nutr. 1990 Apr;51(4):656-7. Tordoff MG, Sandell MA. Vegetable bitterness is related to calcium content. Appetite. 2009 Apr;52(2):498-504. Michaelsen KF, Astrup AV, Mosekilde L, Richelsen B, Schroll M, Sørensen OH. [The importance of nutrition for the prevention of osteoporosis]. Ugeskr Laeger. 1994 Feb 14;156(7):958-60, 963-5. Review. Danish. Kim SK, Bhatnagar I. Physical, chemical, and biological properties of wonder kelp--Laminaria. Adv Food Nutr Res. 2011;64:85-96. doi: 10.1016/B978-0-12-387669-0.00007-7. Review. Ogawa K, Tsubono Y, Nishino Y, Watanabe Y, Ohkubo T, Watanabe T, Nakatsuka H, Takahashi N, Kawamura M, Tsuji I, Hisamichi S. Dietary sources of nutrient consumption in a rural Japanese population. J Epidemiol. 2002 Jan;12(1):1-8. Hirota T, Hirota K. [Nutrition in bone growth and development]. Clin Calcium. 2011 Sep;21(9):1329-33. doi: CliCa110913291333. Review. Japanese. Paunier, L. "Effect of magnesium on phosphorus and calcium metabolism." Monatsschr Kinderheilkd, vol. 140, Sept. 1992, pp. 17-20.